In need of a good option for in and out of the office on those tricky casual Fridays? 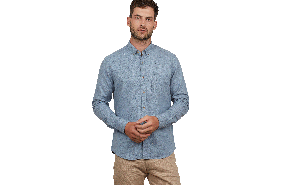 The Derbyshire Texture Shirt is a soft 100% cotton shirt to help keep things light and easy. Flecked with color for a unique look and finished with a button down collar and single chest pocket.